Disclaimer: I received a pair of Linge Shoes for the purpose of this review. This post was made possible by Mom Spark Media. All thoughts are my own. I’m a huge fan of wearing flats. They’re so convenient for putting on shoes quickly and easily – no lace tying or belt buckling (or for some people – velcroing.) The trick with finding the right flats is finding ones that are both stylish and comfortable. Linge Shoes offers a line of ballet shoes that are a great option for flats that can match everything in your closet. 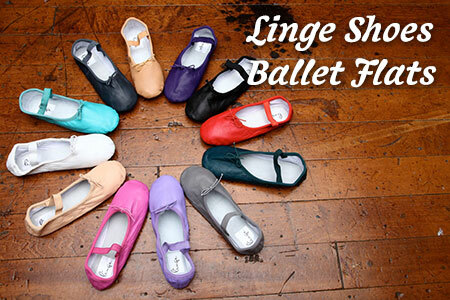 Linge Shoes Ballet Flats come in a variety of colors, from the traditional white and black to a vibrant pink or red. I was looking for a more neutral color that I could wear with jeans or cords and selected the charcoal gray color. 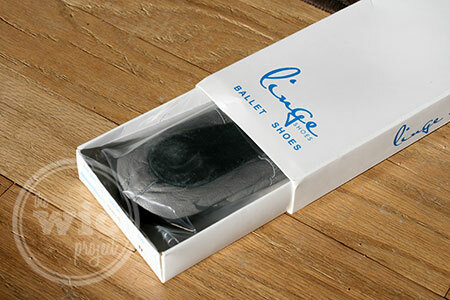 Not only are Linge Shoes Ballet Flats made out of high quality leather, they’re also very practical. They’re compact (as you might be able to tell by the slender box the flats arrived in) and can easily slip into a purse or bag, making them a great option for taking to the office (when your feet need a break from those heels) or for wearing on the go around town. If you take yoga classes or do other exercises that typically require bare feet, Linge Shoes are a comfortable option in lieu of going bare foot. The Linge Shoes Ballet Flats have an elastic strap across the shoe that helps keep them on (which is a nice perk.) You can also skip the elastic and put the flat on with the elastic under your foot. There’s a thin black leather sole on the bottom of the flat making it ideal for wearing around the house or for quick errands. I loved that the Linge Shoes Ballet Flats come in so many different colors. I’ve been wearing them around the house and they’re so comfortable, I practically forget that I’m wearing them. If you’d like to add Linge Shoes Ballet Flats to your shoe collection, they’re available online at www.lingeshoes.com for $59. Buy a pair to keep at your desk or in the car so you’ll always have a go-to pair of comfortable flats to wear. So CUTE!! I need a pair!! I love the colors! I live in California I would wear them everywhere! Well these shoes are amazing! 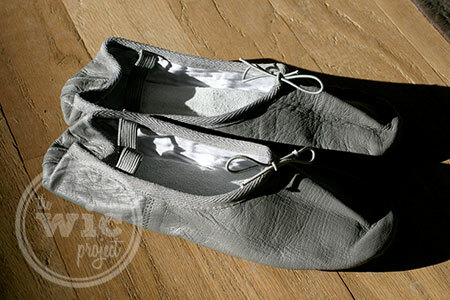 !What is the type of fabric used for these linge ballet shoe types? Can they provide the better grip to the floor or on the road? These shoes are so cute! 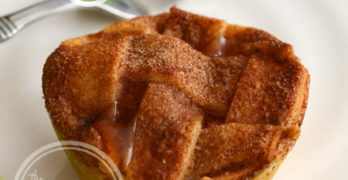 I will so go check them out! Got to have a pair for my collection!